Most would agree that the traditional education system is becoming less relevant to the tasks our students will be challenged with in the near future. A workforce that no longer follows the factory model of the mid-twentieth century demands that we foster more creative and adaptable learners through our education system. In order develop the leaders of tomorrow, we must take advantage of modern tools and resources to enable a personalized experience​ for each and every learner. 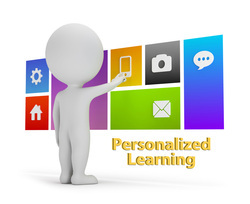 At its most mature state personalized learning allows learners to have a wide choice of what, how, when and where they learn, as well as how they demonstrate their learning. 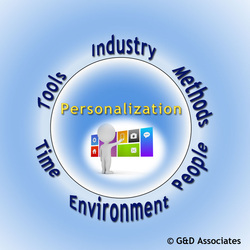 Although strategies such as differentiation, blended learning opportunities, and the infusion of technology rich choices can be parts of a personalized model, the main feature of personalization lies in the level of ownership that each learner has over their educational pathways. We believe that learners should have the power to choose from a wide variety of pathways and demonstrations of learning in order to achieve educational standards in an authentic and meaningful way. G&D Associates can help with this!